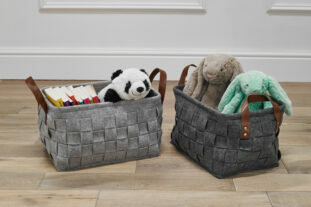 All those toys, books, games, clothes … you can never have enough storage! 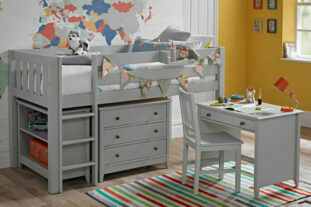 Our range of storage beds offer that extra valuable space to keep bedrooms neat and tidy. 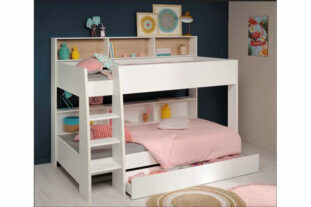 Room to Grow offer a range of children’s beds to suit your storage needs, from cabin beds with storage; including high and mid sleeper beds to bunk beds and trundle beds, there is something for everyone. 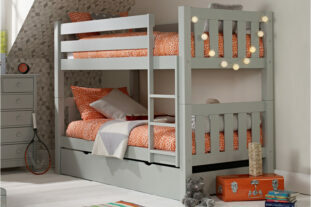 With kids cabin beds you have the option of high, mid and low sleeper designs. 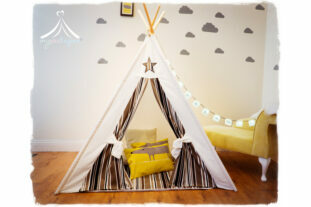 All of which are great for storage and come with various options for fitted furniture underneath. 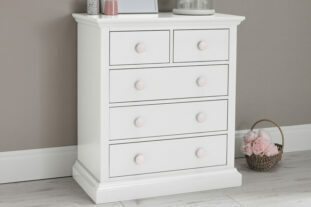 You can choose from designs with wardrobes, cupboards and or drawers. 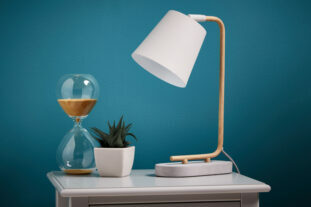 Or alternatively, you can opt to transform the space into a study zone with an integrated or additional desk. 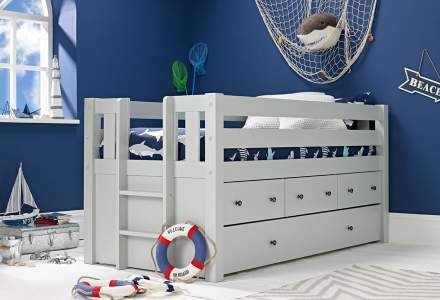 High sleeper beds for children are versatile too, and you can choose to add a sofa or sofa bed to transform the design into a bed that’s also perfect for relaxation and sleepovers! 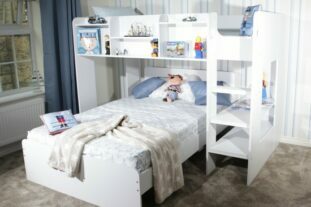 Room to Grow also offer a range of bunk beds with integrated storage, from added wardrobes or shelves to pull out underbed drawers, bunk beds are the ultimate design to make the most of a smaller room and to free up floor space. Trundle beds provide a comfortable place for guests to stay and also double as a storage drawer when the bed is not being used. 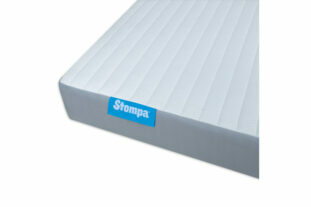 The drawer is ideal for storing smaller items such as bedding or clothes. Day beds usually have large spaces free underneath, which makes for a great storage space, perfect for shallow boxes of bedding, clothes or books. 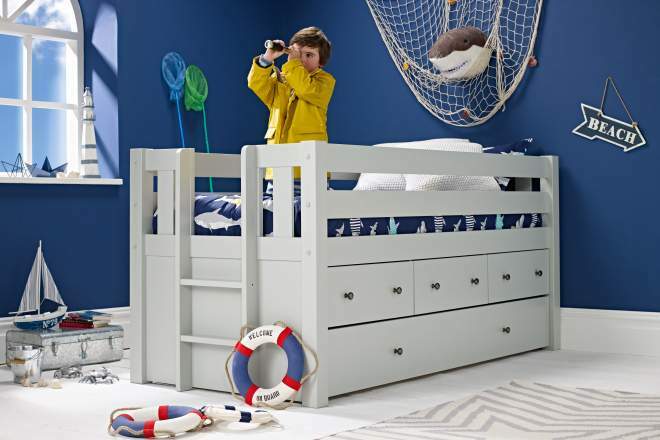 Opting for a kid’s storage bed allows you to free up valuable space and provides you with an easy way of keeping the bedroom neat and tidy, hopefully encouraging your children to do the same! 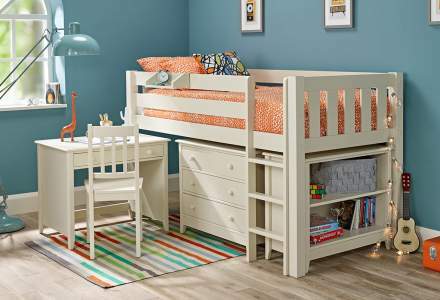 Find your perfect storage bed with Room to Grow today.